Lucy Mulroney shows that whether Warhol was creating children’s books, his infamous “boy book” for gay readers, writing works for established houses like Grove Press and Random House, helping found Interview magazine, or compiling a compendium of photography that he worked on to his death, he readily used the elements of publishing to further and disseminate his art. 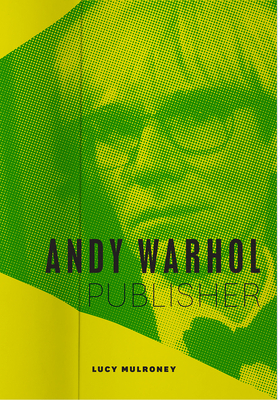 Warhol not only highlighted the impressive variety in our printed culture but also demonstrated how publishing can cement an artistic legacy. Lucy Mulroney is Associate Director of Collections, Research, and Education for the Beinecke Rare Book & Manuscript Library at Yale University. "Taken as a whole, this work of scholarship fills some gaps in our knowledge about another side of Warhol's multifaceted career."